UPDATE 01/22/2015: Hey guys, over the last year or so I’ve had comments (below) on this post where people have had issues with rotating their videos and saving them afterwards. 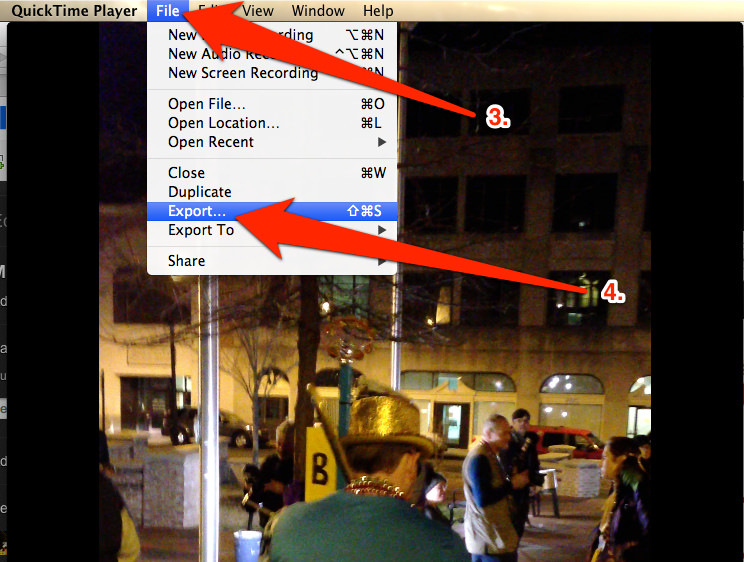 There are many video formats out there that can easily play on a Mac, but may not play nicely with QuickTime. In my case, my video file was already QuickTime compatible (.mp4), so opening, modifying, and saving the file was easily achieved. If you are using any other format, QuickTime will try to either convert before it opens it, or simply not open it at all. If it converts, there is always a chance of file corruption (though I’ve personally never run into that). Lastly, this isn’t a QuickTime support site. I will vouch for the steps below, as they work perfectly for me even today. But if they don’t work for you, there isn’t a whole lot I can do to make that situation better for you. You’d be better off hitting up Apple’s support forums. Now, on to the original post! Hey guys just wanted to post this quick tutorial because, quite frankly, after years of using Mac’s OSX, I still find simple, yet powerful ways to handle those odd technological problems I sometimes run into. I was at a really wonderful Mardi Gras Celebration in downtown Durham this week and while I was there, I shot some video of the celebration. Well, there was so much going there that I absent-mindedly botched the orientation of the video, shooting initially in portrait and then 2 seconds later, rotating my iPhone into landscape mode. The iPhone (or iOS I suppose) is somewhat dumb in this regard in that it holds onto the initial orientation of the what you were shooting and does not shift to accommodate a change like going from portrait to landscape on the fly. In the past when I ran into this dilemma, I often stopped recording, quickly deleted the bad video, used the preferred orientation and then started recording again, not missing a beat. And while I figured there must be some way to rotate the video after the fact (like countless image editors allow you to do), I was a little surprised to find there weren’t many obvious and easy ways out there. Eventually I found the answer in Apple’s own QuickTime app. Like a lot of helpful things when you are looking for them, the option was hiding in plain site. Hopefully this helps someone out there who got into a similar jam. Or, at the very least, it’ll add another hit for Google to serve up. I was kinda giddy when I found it myself!